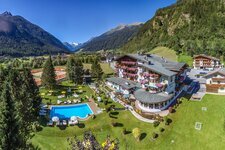 The holiday area with its two beautiful valleys Stubaital and Wipptal extends to the border of Italy. Passo del Brennero (1,374 m asl) devides the transboundary Wipptal valley, starting in South Tyrol in Italy at Fortezza as Alta Val d’Isarco, and extending to North Tyrol in Austria up to Innsbruck. A large side valley of the Wipptal valley is the 30 km long Stubaital valley, branching off at Schönberg im Stubaital towards south west. What is particularly worthwhile are the beautiful mountains of the Stubai Alps and the Stubai Glacier, with a surface of 700 hectares the largest glacial skiing area of Austria. Both summer and winter mountains occupy centre stage in this area. Refuges offering Tyrolean delicacies, a great number of hiking trails and destinations, that’s what makes your holidays even more special. And when in winter this fabulous landscape is covered by a snow mantle, alpine pasture transform into well-groomed ski slopes. If you are seeking more superlatives you can enjoy a meal in the restaurant Jochdohle, the highest mountain restaurant all over Austria, located at the Stubai Glacier at 3,150 m asl. Gschnitz is located in the rear Gschnitztal valley, a side valley of the Wipptal valley. Gries am Brenner is located at the border to South Tyrol (Italy). The market town of Matrei is famous for its lushly decorated town houses and inns. Navis is located in the 10 km long Navistal valley, a side valley of the Wipptal valley. Pfons is the neighbouring village of Matrei am Brenner in the northern Wipptal valley. The market town of Steinach am Brenner is located on the road to South Tyrol/Italy.